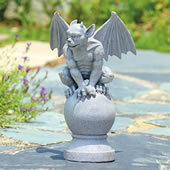 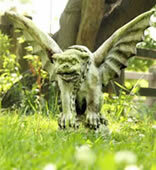 A welcome friend in your garden or a whimsical figure in your office, our fine gargoyles are sure to keep you safe and in good company. 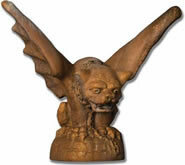 In medieval times, these menacing characters were seen peering from rooftops and gables of churches and castles. 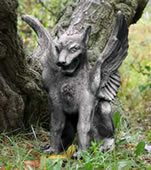 They were ordained with the duty of warding off evil spirits and foreign invaders. 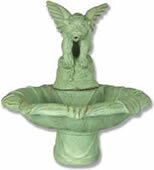 Today, they are prized for their uniqueness, personality and aesthetic value around the home. 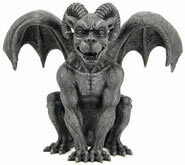 At AllSculptures.com, you will discover these ancient creatures in a variety of styles, colors and finishes. 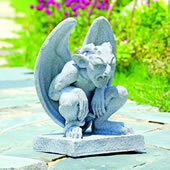 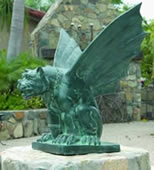 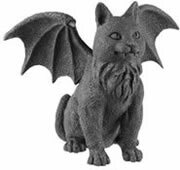 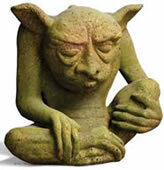 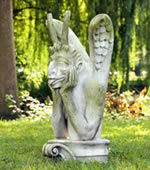 We have beautiful and durable gargoyle statues for the garden as well as inside the home, made of materials such as lost wax bronze and custom faux stone. 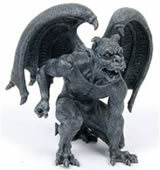 Please don′t hesitate to let an AllSculptures.com representative know if we can help you with your selection.